Shame Kills fights the deadly stigma of addictive disorders in communities nationwide. Shame Kills loves the addict but hates the disease. The more we talk about addiction and bring it out of the shadows, the better chance we have of saving those who suffer. 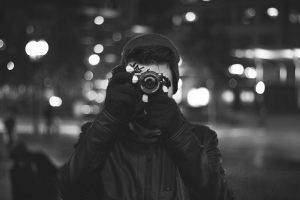 Shame Kills is sponsoring a summer photography contest, and you could win $200! Sometimes the smallest moment in our day can have the most impact. And oftentimes, the little things do more for our mental health than we realize. For many people in recovery, the little things tend to make up a bigger feeling of happiness and renewal, and we want to recognize just how important those small moments can be. Whether it’s the first sip of coffee in the morning, catching all the green lights on your way to work, the first taste of ice cream in the summer, or the few quiet minutes you have to yourself in a day, we want to see your bliss captured in a photograph. We are honored to have a panel of award-winning judges helping us with our competition, which is aimed at amateur photographers or those who enjoy taking snapshots with their phones. This means you don’t need to be a professional photographer to submit a photo! All entries are subject to contest rules. This contest is open to anyone 18 and older, anywhere. All cash prizes will be paid using Paypal, and any tax liability is the responsibility of the winner. Winners will be announced mid- to late September. Jeff Rennicke and Morgan Silk. Copyright and all other rights of the image remain with the photographer. Photographs used by Shame Kills or Drugrehab.org will credit the photographer. Winning images may be used for marketing or promotional purposes. Participants represent and warrant that (1) the Photographs are original and that they own the rights to their photograph, (2) the photograph doesn’t violate the rights of any third party, (3) the photograph doesn’t convey a false or misleading impression, and (4) any additional information submitted about the photograph is accurate. Winner receives $200 cash prize, and winner will be notified within two weeks of contest deadline. 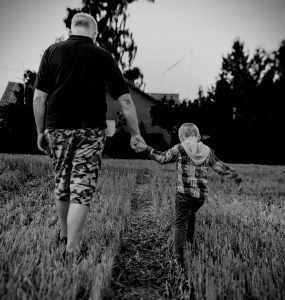 We are excited to announce the winners of our inaugural Father’s Day essay contest. Just like the Mother’s Day competition, this was not an easy decision to make. We received so many amazing entries, and we thank everyone for their participation. Caron Garcia Martinez, Washington D.C.
On a rainy night in L.A. in 1968, when I was eight and Dad was 38, he was almost crushed in a six-car pile-up. In the hospital for months with back injuries, he got hooked on Demerol. His doctor friends realized too late, discharged him and sent him home, and he began to self-medicate so he could work. He’d get to the O.R. early just to scrounge drugs from patients, then turned to self-subscribing and got caught. After losing his medical license, he left us and drove around Central California giving physicals to farm workers for $5 a pop to help my mom with bills. By then, he was shooting heroin to ease his pain. Dad pulled himself back from the edge after a suicide attempt. He found a methadone program near downtown L.A. to start rehab. We had always seen him laughing with people ranging from construction workers to lawyers, and he could talk to anyone. Befriending his fellow addicts from Skid Row didn’t faze him. One week in 1978, he went cold turkey off methadone so he could petition to get his medical license back, and return to practicing medicine. He became the first doctor in the state of California to achieve that level of redemption. Swift River and Shame Kills are excited to announce the winners of our first Mother’s Day essay competition. This was no easy decision to make, and we received so many amazing submissions; it was really incredible to hear so many great stories of love and triumph. We thank everyone who participated and for sharing their experience. “Yeah, I…I’m fine,” attempting to convince myself. “I’ll visit every week,” my mother declared, tears rolling down her cheeks. “You don’t have to, mom,” I replied. “No, I WILL be there,” she affirmed. I couldn’t look back to tell her “Goodbye.” Knowing the pain I caused only added to the dark, self-inflicted cloud of shame that hovered over me as I walked into the cold jail, my home for the next 25 days. I never dreamt nearly five years ago, as a 38-year-old mother of four, I would succumb to the deceptive whisperings of alcohol, rendering me addicted, ultimately leading me to be charged with DUI and three counts of child endangerment. The arrest inspired my healing, however, and my mother, my hero, walked with me every step toward freedom. Only my mother visited me in jail. Only my mother housed me when I was homeless. Only my mother drove me to therapy and job interviews when I was license-less. Only my mother cared for my children when I couldn’t, and only she discovered a place where I could receive restoration, gently nudging me, as a momma bird prods her baby from the nest, to accept help from The Bethany House II, a free 9-month redemption home for women. These tangible acts of love have aided in my recovery, but my mother’s words of life poured into my dry and weary soul keep me going. Making it, I am, taking one day at a time, shedding shame and holding tightly to hope. Heroes walk among us. They’re a doctor who revives a child’s failing heart. They’re a firefighter who risks her life to extinguish the flames of someone’s smoldering house. They’re an elderly couple who adopt a mistreated dog. They’re everyday people demonstrating acts of kindness in a cruel and unforgiving world. And I’m blessed to have two of them living with me; my mothers. There was a time, not so long ago, when my future seemed as hopeless as a dark abyss of despair, waiting to swallow me whole. I contemplated ending my life, figuring death was my only escape, and I probably would’ve followed through—had my mothers not been there to rescue me. They confronted my demons with brute determination, relentlessly fighting for my right to live freely; a right, I once thought, I’d lost forever. My climb from rock bottom was slippery and steep, yet I wasn’t intimidated for I knew if I fell, my mothers would catch me. “You think climbing Mount Everest is hard?” they’d joke, and I’d crack a smile. Somehow, their humor always brightened my somber mood. 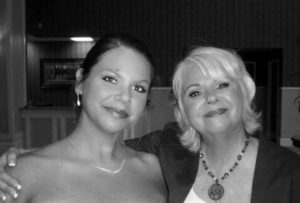 Mother’s Day may only come once a year, however my appreciation for my mothers and their capability to foster me into an independent young woman is something I commemorate every day. Recovery is an arduous process but I’m confident that together, we can conquer my illness once and for all. With my mothers by my side, anything is possible. David Coté, from Manchester, New Hampshire, was the winning artist for the 2016 Shame Kills Poster Contest. His work, titled “Out of the Darkness,” adeptly portrays the correlation between shame and substance abuse. The purpose of our poster contest was to draw attention to the pain and stigma associated with substance use disorders. The goal was for contestants to share a design that could quickly and easily impart the message that Shame Kills. We are so grateful for everyone who participated in the contest, and we thank you for your submissions. The more people who stand together to break down the shame associated with addiction, the better chance survivors have of moving on with their lives. David shared with us a little about his background, his inspiration, and how he sees the role of art in society. We appreciate his creativity and candor, and we thought you might too. What can you tell us about yourself and your background? I have been living in long-term recovery from substance misuse since June 16, 1990. Although substance use disorder has touched many parts of my life, my disease does not define me. I am a husband, married for 23 years, a dad to a teenage girl. I am also a son and a brother, a business owner, employee, an artist and a tax-paying voter. What inspired your design for the Shame Kills poster contest? This design was inspired by a few things from my personal experience. As someone who struggled with addiction, I can certainly relate to being in a dark place, looking for a way out. Also, as someone who works helping those suffering, I can attest to the power of an outreached hand and the words “no shame.” The simplicity of the design is to unclutter the message. How do you see your design inspiring others? I see this design sparking a conversation of hope, and that shame from stigma can only harm someone already hurting. Mostly, I want this design to light the way for someone sick and suffering. This is a graphic design. Do you primarily work in graphic design or have other mediums where you apply your talents? I have been painting and drawing since childhood, and a professional photographer since 1989. In the mid-1990s, I sold paintings at art shows around New England and maintained a part time position as a photographer, eventually returning to full time photography. In 2010, I enrolled in the graphic design program at a local college, graduated with an associate’s degree, and shortly after completed a bachelor of science in digital media at 50 years old. Art is healing. Art can touch the viewer beyond what words can describe. Early in my own recovery, I stood frozen in front a painting that spoke volumes to me when I still felt so broken. Currently, I work at HOPE for NH Recovery, a recovery community organization, as the media and information person. I am also a peer recovery coach for their 24/7 on-call Emergency Department Program. My coaching brings me to the hospital to connect with patients who have recently overdosed, or show other signs of substance misuse. 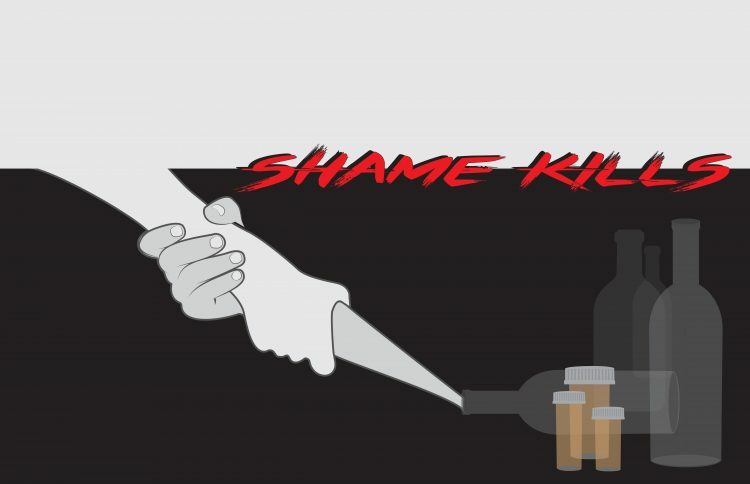 Shame Kills is targeting multiple cities in the Northeast to help fight the deadly stigma associated with addiction. Shame Kills has chosen Frederick, Maryland, for our inaugural campaign, and we’ll kick off with a poster contest! The winning poster will be the official poster for the national Shame Kills campaign, and the winner will receive $500 and a framed print of their poster. Get creative and help us stop the shame! You can find information on how to submit your entry HERE.